This Picture Frame Is A Snap To Fill! 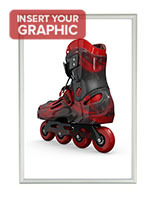 This Picture Frame Displays 40" x 60" Posters With Style! 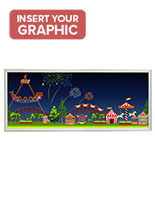 A picture frame like this poster-sized snap frame is engineered for wall mounting. Everything you need to hang your snap frame picture frame is provided in the packaging. 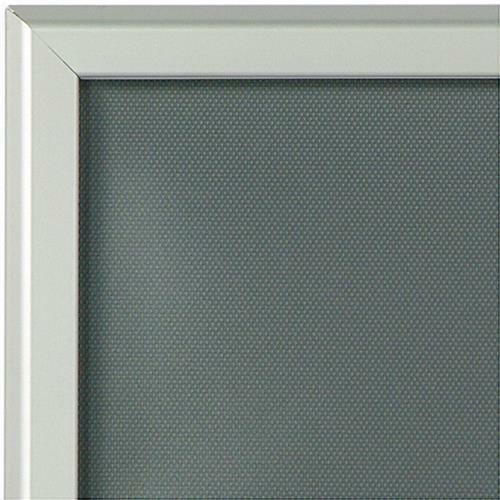 We supply the snap frame with wall mounting hardware. The picture frame is best fastened into a plaster or wooden wall, but can be hung from a window as well. 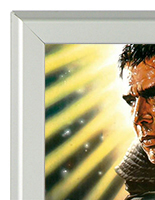 This picture frame can be hung either portrait or landscape. 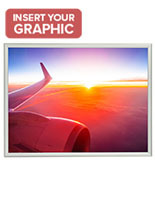 This 40" x 60" snap frame picture frame accommodates one giant sized poster. 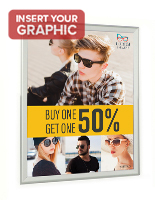 The snap frame picture frame will add dimension to the décor in your store and is so large it can be seen from a distance, which makes this picture frame an easy to use and useful promotion tool. Why does this picture frame stand out from the rest? It has a special loading capability: snap edges! The snap frame picture frame opens up around the edges and clips down onto your sign, securing it into place. There is no need to take apart the frame or load your image through the top. The snap frame picture frame renders it easy to exchange signs in and out of the frame and also assures that loading will not damage the corner and sides of the picture. From our warehouse you can buy snap frame picture frames to use in your retail store, restaurant, or doctor's office. 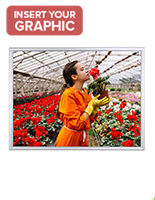 The snap frame picture frame is a picture frame that accommodates your media content in any indoor setting. 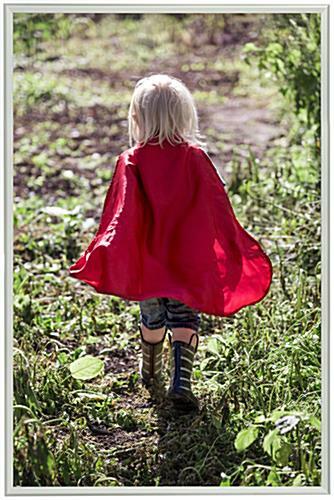 A plastic covering produced from water resistant PVC plastic protects your poster. The protective cover is also non-glare and will be seen in any light. The snap frame picture frame is fabricated out of aluminum, and is resistant to rust.